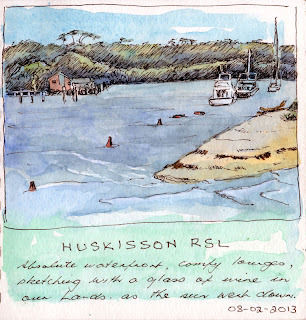 This is the view from the RSL Club (Returned Services) in the main street of Huskisson on the South Coast of New South Wales. The club is total waterfront with the most amazing view. Our first evening there, we went in to see if they would allow us admittance which they kindly did. There is a small narrow lounge along the water side of the club. For the next two evenings we went back with our sketchbooks in our hands (and a glass of wine also). 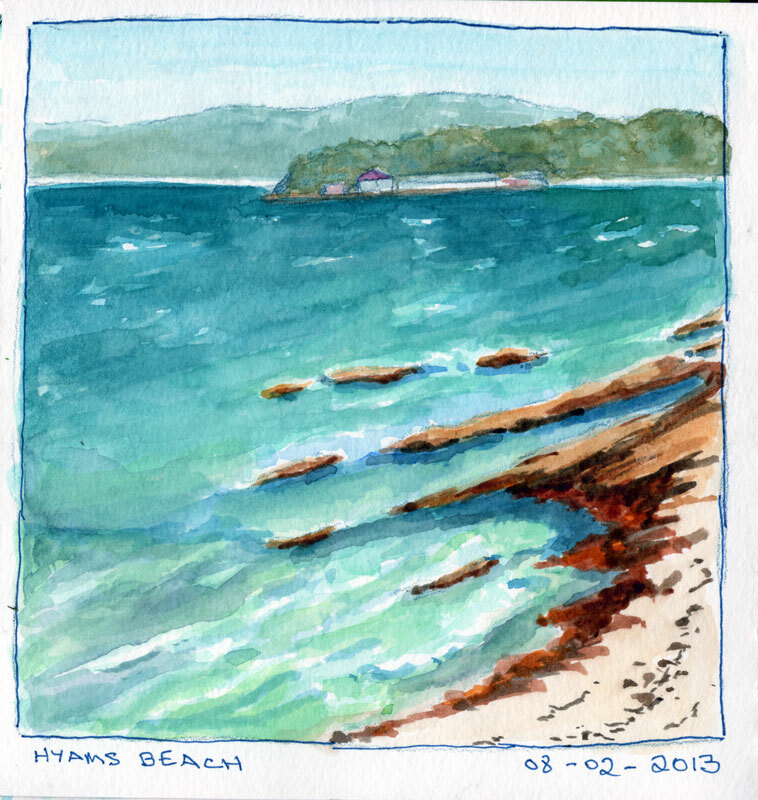 I was using my Stillman and Birn Delta Series sketchbook for the first time on that trip and I was delighted with it. The paper is robust and the book is robust. 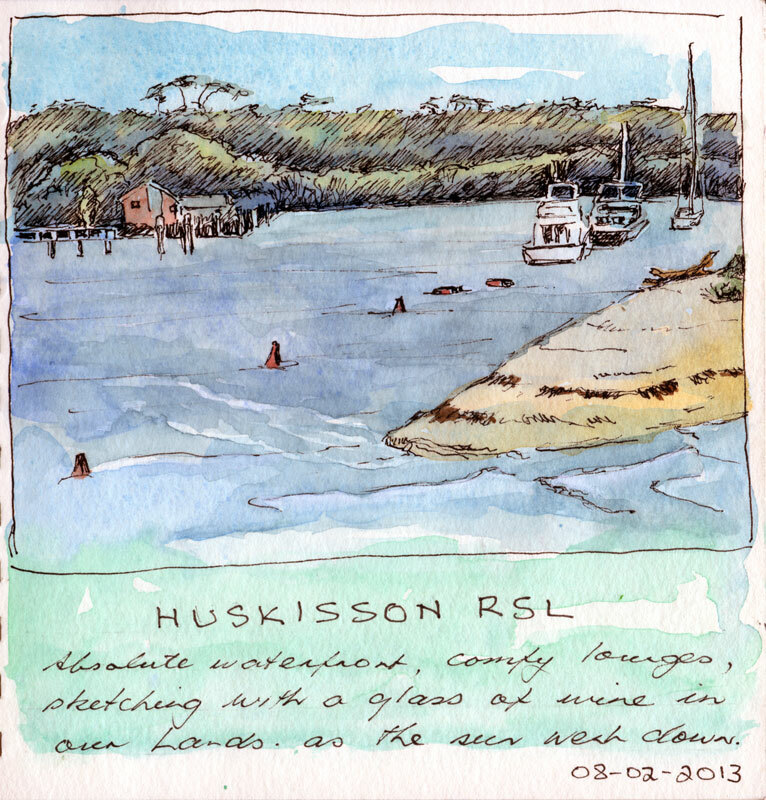 The wind comes up in the afternoons in Huskisson and because the book is spiral bound I could fold it back on itself and hold it firmly. 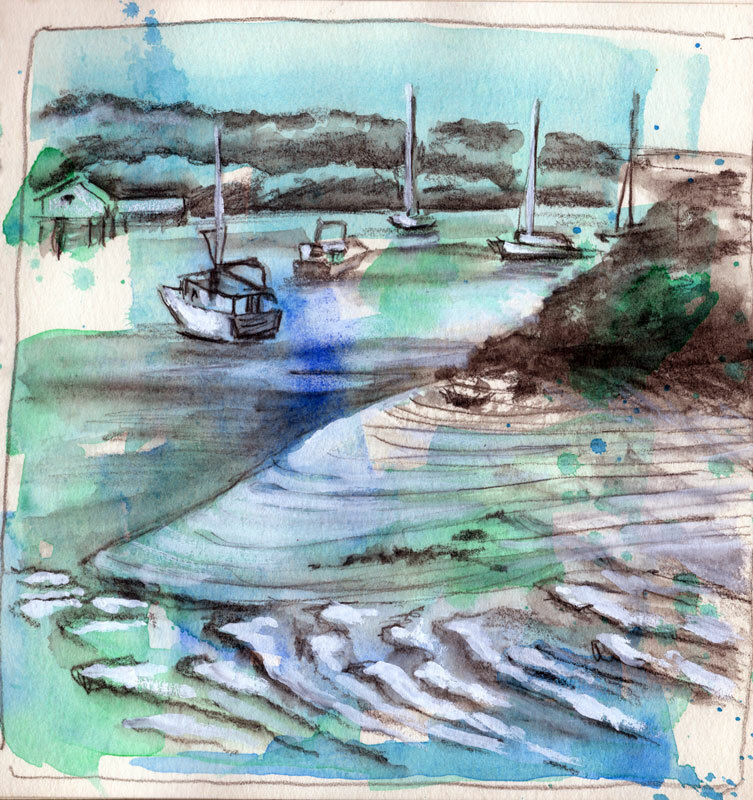 The first sketch has watercolour underpainting and was done with Lamy Safari pen. This sketch was underpainted with watercolour, then I used a Derwent Sketching pencil and a waterbrush. I think pen works better, because of the added contrast. An unexpected side effect was that my Noodlers Ink dried instantaneously on the Delta Series paper. Now that's a bonus. 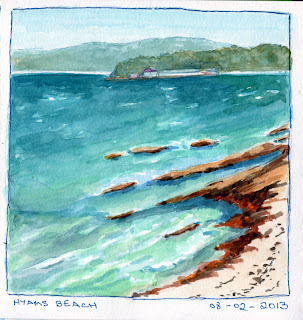 My third sketch of Hyams Beach only sneaks in as 'urban' by the skin of it's teeth, because that is the Australian Naval College there in the distance.